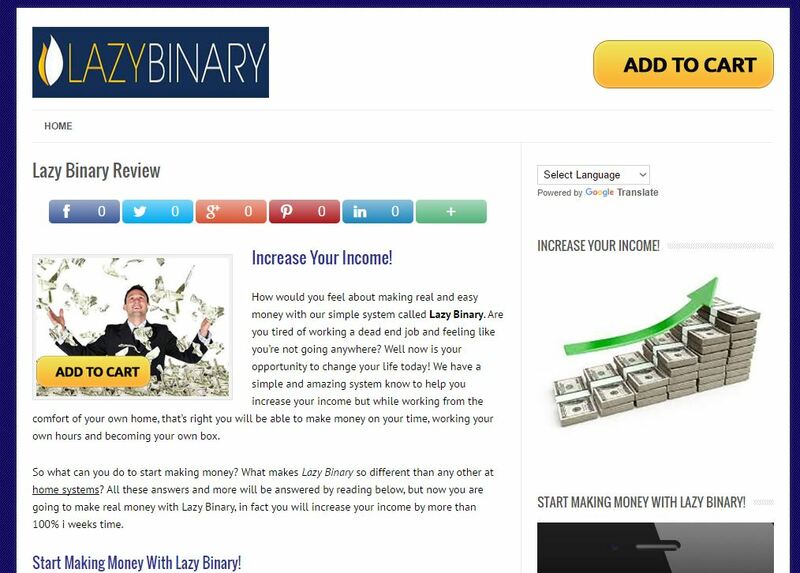 This is a quick review of a binary options scam called “Lazy Binary”. Like other binary options projects Lazy Binary system has a video and text presentation. In it you can read that Lazy Binary will allow you to earn more than $1.586 per day with just a few clicks with your mouse. The program will work on autopilot, so you don’t have to learn nor do anything. But when you click on any of the links, you are redirected to the Millionaire Blueprint scam. We suspect that the Lazy Binary web page is universal because it will be used to send you to different binary options scams in the future. So beware, it is just a funnel to send new victims to scammers that offer worthless trading apps. Their only aim is to make you deposit money with their partner broker, because it will earn them an affiliate commission. If you then trade your account with any of these apps, you will lose your deposit. Never invest your money with anything that you could not try on a independent demo account first.